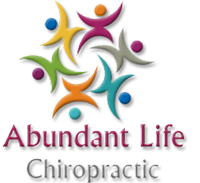 Abundant Life Chiropractic - Chiropractor in San Antonio, TX US :: Testimonials - Medical "Rejects"
When I first started to come, I came because my right hand was hurting. I had seen a doctor who kept putting a cast on it. It kept swelling. They gave me pain killers that didn’t work. It wasn’t until I came to see Dr. Artho that it began to feel better. I really felt a big difference. I been seeing Dr. Artho for 8 months now and I would recommend him to anyone for their overall health. I wish I had come to see a chiropractor in my earlier and younger years. I really needed their help then. I’m specially glad now, (after I was made a diabetic by the medical professionals and their drugs) that I’m seeing Dr. Damian Artho, ‘cause he and the previous chiropractor have helped me out in getting rid of a lot of pain in my legs and right foot. Any other problems I have it’s because of the drugs and painkillers. When I was 26 years old I went to my family doctor complaining a real painful pain I couldn’t resist. My doctor X-ray my back. My pain was in between my shoulders. He gave me pain killers which I call for the pain. So one day Gloria call me and told me about Dr. Artho a chiropractic that she worked for. It took quite a while to think about going. But then later on, I just thought give a try. I went and it was the best thing I ever wanted. Now I feel great and my pain that was there all these years is all gone. I feel like new again. I first heard of Dr. Artho from my younger sister and brother-in-law. When I first came I was recovering from Aneurysm repair surgery. I was having balance issues due to fluid accumulation in my brain. After my first 2 visits, I noticed a very noticeable improvement in my balance issues. I have continued my adjustments because I feel my overall health has improved. I would recommend Dr. Artho without any hesitation. My two daughter (ages 8 and 11) have battled eczema since birth, and no oral nor topical medications seemed to alleviate the situation. We were sent to dermatologists and an allergist, to no avail. Their diets were constantly adjusted and they had to avoid many of the pleasures of life (childhood experiences like swimming, eating fresh citrus on a hot summer day, not being able to be outside at dawn or dusk because of not being able to tolerate insect repellents on the skin) due to their skin troubles. They were introduced to chiropractic when they accompanied me one day for one of my own visits. Dr. Ismael Holguin listened to my concerns about their skin ailments and asked if he could perform a treatment on them. He set up a treatment plan for them after the initial visit. Within two or three adjustments, their skin resembled that of a newborn! I could not believe that a few visits for spinal manipulation would heal them, and heal them so quickly! We thank God that we found chiropractic and we continue to make our regular visits. We encourage anyone we meet along the way to begin chiropractic, especially for good overall health.